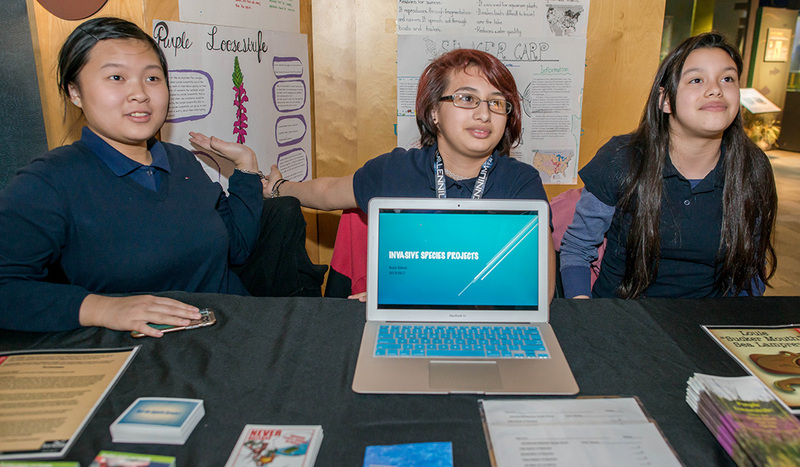 Healy Elementary School students Andrea Mei, Monica Martinez, and Heaven Delgado host a table showcasing invasive species. The Center for Great Lakes Literacy (CGLL) teamed up with the Peggy Notebaert Nature Museum last month to host “Great Lakes Awareness Day: Lake Michigan’s Beauty & Fragility.” CGLL fosters a community of Great Lakes literate educators, students, scientists, environmental professionals, and citizen volunteers dedicated to improved Great Lakes stewardship. 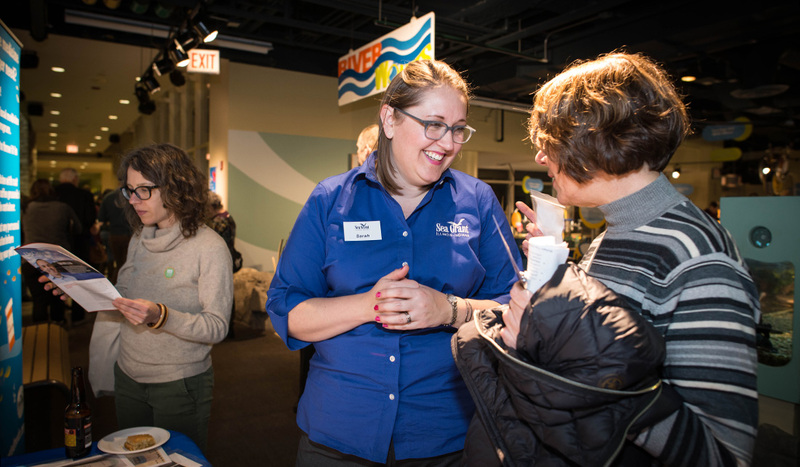 The event featured Great Lakes education and outreach programs developed by Illinois-Indiana Sea Grant (IISG) specialists, as well as stewardship projects that CGLL-trained teachers have facilitated with their students. Ayesha Qazi, a horticulture and biology student teacher at Robert Lindblom Math and Science Academy in Chicago, manned a table with her student to show off her “greenhouse” classroom. This new endeavor—that even she admits sounds a little “bizarre”—has proven to be extremely successful. Ayesha Qazi, a horticulture and biology student teacher at Robert Lindblom Math and Science Academy in Chicago, talks about her greenhouse classroom. Qazi took part in a CGLL workshop that fosters informed and responsible decisions to advance basin-wide stewardship by providing hands-on experiences, educational resources, and networking opportunities. “I’m always in the greenhouse, so why don’t I have seating in the greenhouse,” Qazi asked herself. Qazi said because many of her students don’t have easy access to green spaces, she created a classroom surrounded by lush plants, nice lighting, and fresh air. And that became a complete game-changer. Christine Miller, a science teacher at Healy Elementary School in Chicago, brought three of her students to staff a table focusing on aquatic invasive species. Her students showcased what they learned about the invasive plant, purple loosestrife, that has crowded out native species in Illinois wetland and marsh areas. 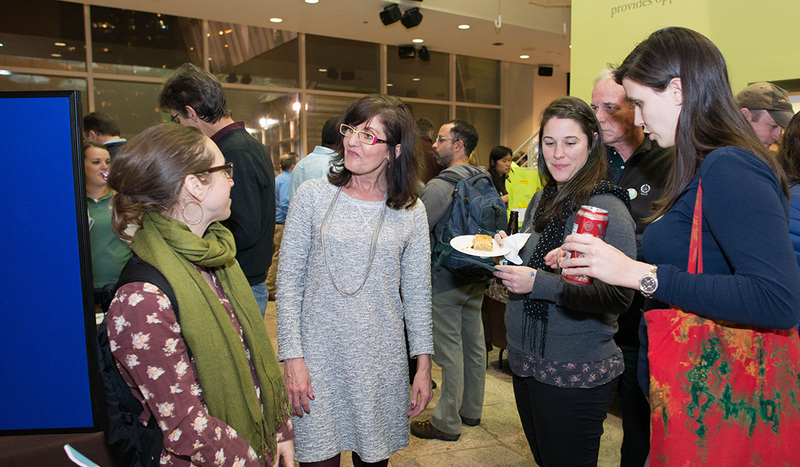 Sarah Zack, IISG pollution prevention outreach specialist, speaks to a woman at her table at the event. 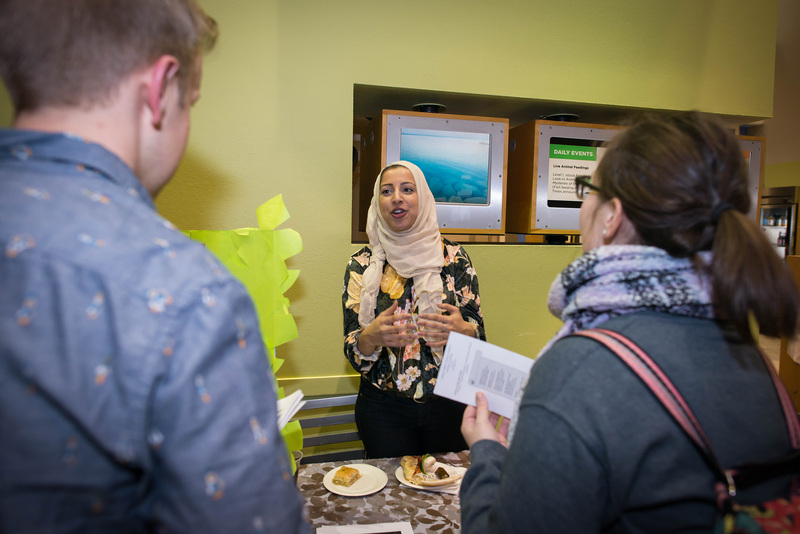 “This event was a great reminder of how engaged people are in Great Lakes issues, and how important healthy water resources are to us all,” said Sarah Zack, IISG pollution prevention specialist who had a table at the event. IISG specialists Greg Hitzroth, Allison Neubauer, Kristin TePas, Molly Woloszyn, and Irene Miles also hosted tables at the event. Shipboard Science alumna Susie Hoffmann was there to share her photos from her U.S. EPA R/V Lake Guardian experience. Terri Hallesy, IISG education coordinator, second from left, chats with women at the event. CGLL was established through a Great Lakes Restoration Initiative Grant, U.S. EPA, Great Lakes National Program Office.